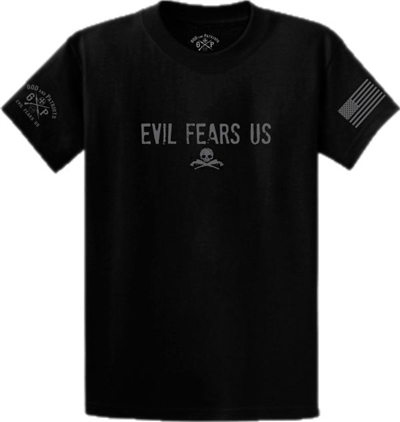 The front of this black Patriotic t shirt is screen printed with Evil Fears Us with two guns and a skull. 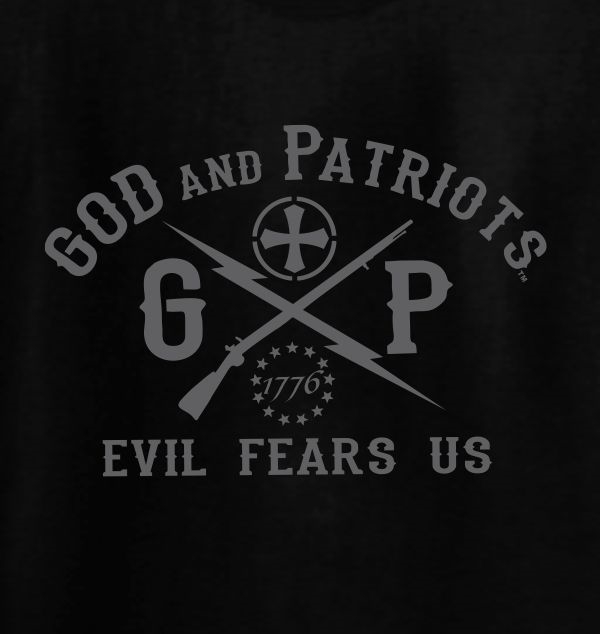 The right sleeve is printed with the God and Patriots logo, Evil Fears Us, a lightening bolt representing the power of God, a Cross representing the freedom Christ bought us, a Patriots musket rifle and the year 1776 representing the year of our American freedom. 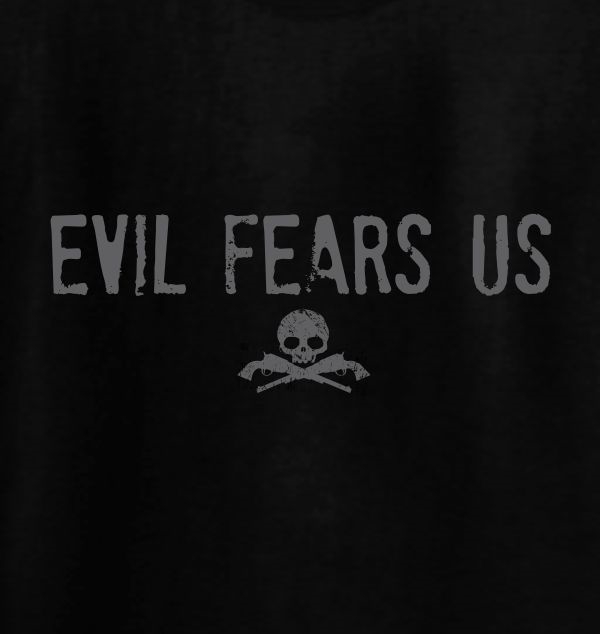 T-shirt also available in white. 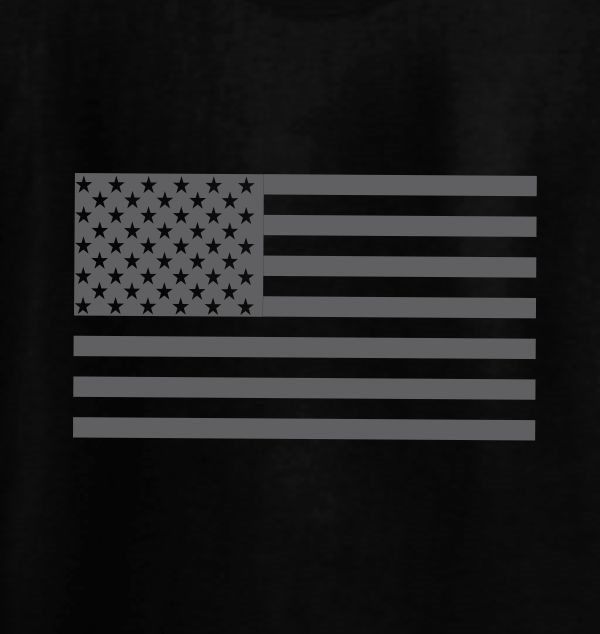 Quality 6 oz / 100% preshrunk cotton men's t-shirt in black and white.